However, if you want, we serve an italian breakfast with croissant + caffè/cappuccino/thè + fruit juice only for € 2,50 per person! The prices can changes during particolar period. 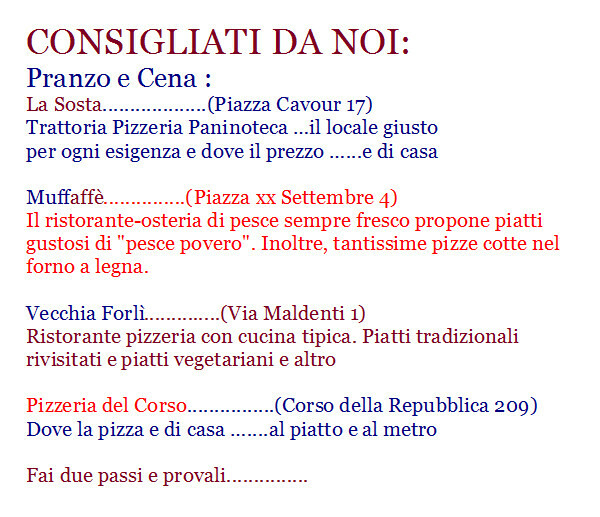 .. click below to find out the great restaurants around us by making two steps in the center of Forlì ..